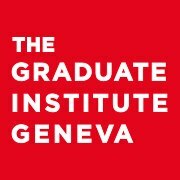 Founded in 1927, the Graduate Institute of International and Development Studies (The Graduate Institute, Geneva) is a leading institution of research and higher education. A cosmopolitan community of over 100 nationalities, it's situated in the heart of International Geneva. World-class faculty prepare students for fulfilling careers in policy, development, international affairs, private industry and research. Build and share your own catalog of courses with Class Central's custom lists. Learn Python & R at your own pace. Start now for free! 8th Jul, 2013 No reviews yet. 25th Mar, 2019 No reviews yet.